Waunakee is preparing for its second annual movie night at Warriors Stadium, with seating on the turf for students to enjoy a movie under the stars. Aaron May, Activities Director for the school, starts preparing for the event a month in advance. First, students are polled to see what movies they’d like to see for optimal attendance. Next, dates and weather forecasts are reviewed to select the best option. The school is upping the number of events this year, with opportunities to attend in June, July and August. That’s not the only thing different this year. After ensuring everything is set to go, May and the Future Business Leaders Club run through the movie a few times for a seamless experience. They send out the word through a press release in the newspaper, campus messaging efforts, the school district’s Facebook page and Twitter accounts. Last year, 70 people gathered for the student-led event. The big things of this is that it’s led by students,” May explained. “This is an opportunity for the kids to shine. They learn how to carry an idea through by problem solving, getting operations underway and scheduling staff. 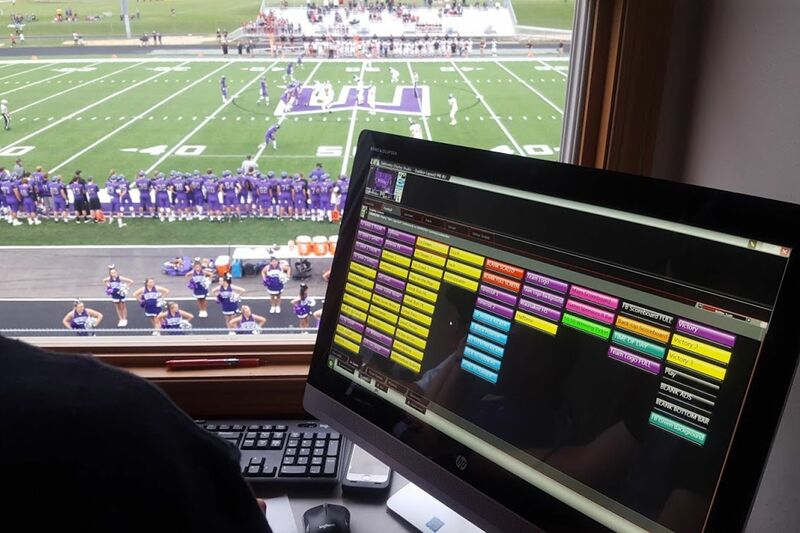 The video board is a teaching tool for us; it’s a good hands-on experience from start to finish. Have some popcorn for us, Waunakee, and send pictures! How is your school using your video display for fun activities this summer? Previous: Previous post: Here’s what’s new in Show Control.